Ava is Awarded up to $96,000 in merit, College Scholarships and is accepted into 10 universities! Before coming to Cortona Academy in the 8th grade, life for me was difficult, to say the least. I was in a highly-regarded Northern Virginia public school, but the large classes made it impossible for individualized attention for anyone. I needed help, but after coming to Cortona Academy, life began to change. Despite the reputation of my former school and its programs, I actually needed to take some remedial classes to become more academically proficient. This wasn’t a problem at all at Cortona Academy, because there, classes can be 1/1 if someone needs to have more help. At that point, things began to roll for me. My personal satisfaction after coming to Cortona Academy began when I started to believe in myself again, and believe in my potential. As time went on, I began to see significant improvements in my ability, which continued to expand every year. Especially, my writing skills improved dramatically. On my path of self-discovery, certain teachers, such as my English teacher, taught me to open up and not be afraid to ask questions. This was not the case for me at my public school. As I gained confidence, I began to take courses I never thought I’d be able to master, including Spanish. Tutors helped me along the way. Now I enjoy it! The field trip that most inspired me of the many I’ve truly enjoyed, was the trip to the program sponsored by Girls in Technology which I attended with another student and the Head of School. 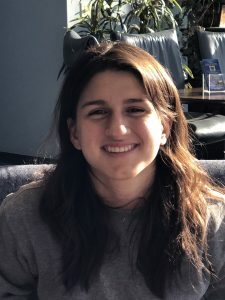 I was particularly inspired by what women were accomplishing in technical fields, which made me understand that I, too, could be successful in whatever my profession was going to be. Cortona Academy helped me pursue my college dreams by knowing exactly what courses I should take, helping me master those courses, and again, having teachers support me throughout those courses. If I didn’t understand a concept, they explained it to me. This is supposed to be the way it is in every school, but for me, I just didn’t get this help until Cortona Academy. Now, my future is clear. I just got accepted into ten universities, and was offered merit scholarships to each of them of up to $96,000. This was something we were told was possible when I first started at Cortona four years ago, but didn’t quite believe it. I knew this also was the case for last year’s graduates, but when it actually happened to me, I knew all my work and the dedication of my family and teachers these past four years were well worth it! Now, my goal is to become a pediatric dentist and contribute to my family’s business. 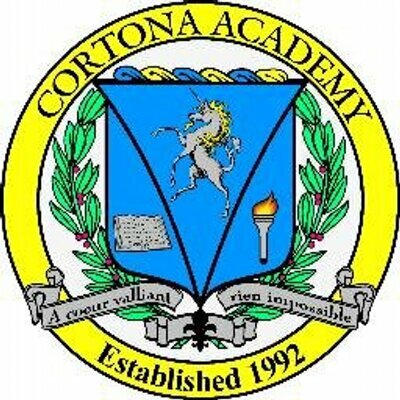 The most important thing I need anyone to know who is reading this is that coming to Cortona Academy was well worth any sacrifice my family and I had to make, because now, I know I have a real future, and the scholarship money to help make my dreams a reality.